SpaceX, Elon Musk’s space flight company, successfully launched a Falcon 9 rocket on April 14, but their plan to land the rocket on a floating barge failed when the rocket tipped over on landing. The rocket was carrying an unmanned cargo spacecraft called the Dragon. The Dragon is loaded with 4,300 pounds of supplies and is expected to deliver them to the International Space Station on April 16. Meanwhile, once the rocket and the payload separated, the goal was to land the rocket back on Earth on a floating barge. They came oh so close… until the rocket swayed and fell over. The Falcon 9 rocket is made up of two separate parts. The first part is 138-foot “first stage” rocket which burns for the first few minutes of the flight and essentially gets the rocket out of the Earth’s atmosphere. 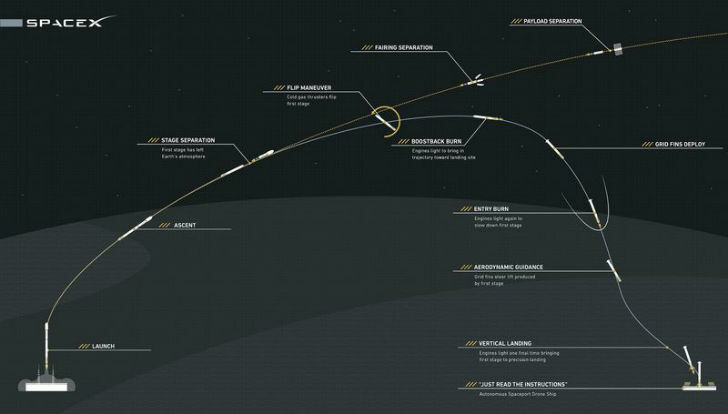 The rocket goes up about 50 miles and then the first stage separates and falls back to Earth. 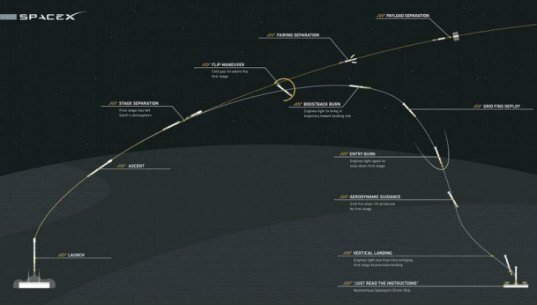 Then, a smaller 49-foot “second stage” rocket burns for another six minutes, propels the Dragon into orbit and then it, too, falls back to Earth. In “regular” space flight missions, like those that propelled Mercury, Gemini and Apollo astronauts into space, the rockets break up into pieces on reentry and then sink into the ocean, becoming unusable. But, this week, the first stage rocket re-entered the Earth’s atmosphere and was then re-fired and guided down to the floating barge where, Musk said in a tweet, it landed, but then tipped over. The uncrewed barge, which was stationed outside of Cape Canaveral, was ready to accept the rocket as steerable fins helped to guide it and ease it down. While technically an unsuccessful landing, the idea that a rocket — previously thought to be disposable and push spacecraft into orbit—could be guided back to Earth and then land is unprecedented. SpaceX has been dedicated to finding a way to reuse their rockets. One of the things (just one, mind you) that make space travel so expensive is that components and spacecraft are constantly being treated as disposable units. Letting a rocket break up and sink to the bottom of the ocean, Musk has said, is equivalent to throwing away a Boeing 747. At first, SpaceX tried to recapture rockets by adding parachutes that would slow the rocket down and bring it gently to Earth. Unfortunately, this didn’t work at all as the rockets still broke apart due to heat and stress. Adding a powered guidance system seemed to be the only way to recapture the rocket. SpaceX has stated publicly that it costs $54 million to build a new Falcon 9 rocket but only $200,000 to get one into space. If the rockets can be recaptured and reused that is a significant cost savings and could signal a new beginning for how spacecraft get into space—and come back. Space X is trying to land a rocket after it's been to space.